NBC Sports Group fleshed out its horse racing plans for the upcoming year by inking a deal for the third-annual Pegasus World Cup Invitational in 2019, as well as extending its rights agreement for the Royal Ascot through 2025. In addition, the network will team with Churchill Downs to debut a new magazine-style series and add a pair of prep races to its Road to the Kentucky Derby series this spring. NBC Sports and The Stronach Group reached an agreement for exclusive United States media rights to the third annual running of the Pegasus World Cup Invitational on January 26, 2019 from The Stronach Group’s Gulfstream Park in Hallandale Beach, Florida. Among the entries for the 2019 running of the Pegasus World Cup Invitational is 2018 Breeders’ Cup Classic winner Accelerate. Building on the success of 2017 and 2018, The Stronach Group has expanded the 2019 event for both horse owners and fans by turning the $16 million Pegasus World Cup Invitational into a championship series. The Pegasus World Cup Championship Invitational Series will include the $9 million Pegasus World Cup Invitational (G1), to be contested on the dirt at 1 1/8 miles offering $4 million for the winner of the 12-horse field and the $7 million Pegasus World Cup Turf Invitational (G1), to be run on the turf at 1 3/16 mile. The Pegasus World Cup Turf Invitational will replace the Gulfstream Park Turf Handicap and aims to attract and showcase 12 of the best turf horses from around the world as they compete for a $3 million first place prize. NBC will air a live 90-minute program featuring both the Pegasus World Cup Invitational and the Pegasus World Cup Turf Invitational. The broadcast will also showcase the Pegasus “blue” carpet, celebrity, and live entertainment event elements from Gulfstream Park at 4:30 p.m. ET on Saturday, January 26, 2019. All coverage will be streamed live on NBCSports.com and the NBC Sports app — NBC Sports Group’s live streaming product for mobile devices, tablets, and connected TVs. Past winners of the Pegasus World Cup Invitational include Arrogate, the 2016 Eclipse Award-Winning Champion Three Year Old Male and the top-earning Thoroughbred of all time, and 2017 Horse of the Year, Gun Runner. On the heels of an exciting Breeders’ Cup Classic win with Accelerate, trainer John Sadler’s next stop will be the Pegasus World Cup Championship Invitational Series where he has committed to spots on the dirt, with Accelerate, and on the turf. In addition, The Stronach Group will offer a $1 million bonus to the owner who wins both the Pegasus World Cup Invitational and the Pegasus World Cup Turf Invitational and will be introducing a new race day wager, the Pegasus Pick 24. The Pegasus Pick 24 will provide fans with the chance to bet on the exact finish order for both the Pegasus World Cup Invitational and the Pegasus World Cup Turf Invitational. A $5 million bonus awaits the lucky fan that hits on the Pegasus Pick 24. NBC Sports and the Royal Meeting in Ascot, Berkshire, England — one of the most prestigious horse racing meets in the world — have reached a six-year agreement to extend NBC Sports Group’s exclusive United States media rights to the event through 2025. Royal Ascot made its U.S. television debut on NBCSN in 2017. NBC Sports will continue to present live coverage of the mid-June event for four consecutive days (Tuesday-Friday) with at least 4.5 hours each day (8:30 a.m. – 1 p.m. ET) on NBCSN, and four hours of coverage during the final day of the event (Saturday, 9 a.m. – 1 p.m. ET) on NBC. 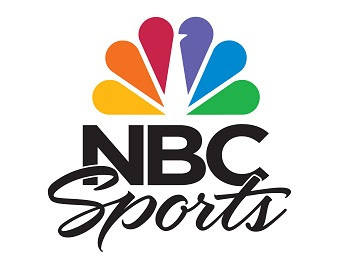 In addition, NBC Sports will feature on-site hosts during its coverage, and offer an increased on-site presence. All coverage will be streamed on NBCSports.com and the NBC Sports app, NBC Sports Group’s live streaming product for mobile devices, tablets, and connected TVs. Royal Ascot is one of the world’s most valuable horse racing events, attracting many of the world’s finest racehorses to compete for more than $9 million in prize money. The event features 30 races, including eight at world championship “Grade One” level. NBC Sports is collaborating with Churchill Downs on a new magazine-style series, and adding a pair of crucial prep races. In partnership with Churchill Downs, NBC Sports will debut a new Road to the Kentucky Derby series this spring, leading up to NBC’s coverage of the 145th Kentucky Derby presented by Woodford Reserve on Saturday, May 4. In March, NBCSN will debut the first of the four 30-minute Road to the Kentucky Derby episodes, which will showcase the stars of the sport, telling the stories behind the horses and the legendary race. Produced by Churchill Downs, the episodes will provide viewers with an inside look of the extensive preparations for the first leg of the Triple Crown. Keith Wetzler, Executive Producer of Broadcast at Churchill Downs, will produce the series. NBCSN is now home to the six biggest prep races in 2019, leading up to NBC Sports’ coverage of the “Run for the Roses” at Churchill Downs on the first Saturday in May. A month of key prep race coverage on NBCSN begins with the Louisiana Derby on Saturday, March 23, followed one week later by the Florida Derby on Saturday, March 30. Coverage continues on NBCSN with “triplecast” coverage of the Wood Memorial, the Bluegrass Stakes, and the Santa Anita Derby on Saturday, April 6, before the Arkansas Derby on Saturday, April 13.